The picture that you see above, is a photo of my husband putting together a new playhouse for our playground. The day that I took this picture, we were working at the center on a Saturday morning, preparing for Re-Accreditation. Evaluating Parent connections and so much more! On March 20, 2012, an Accreditation Validation review team stopped by my center to evaluate our quality care practices. Now……. you would think that after going through three accreditation observations in my center and one in my home daycare, that I would not be nervous. On the day of the visit, I was so nervous to have strangers in my center evaluating every little detail of the program. Then I had to give myself a positive talk and remind myself that I am an Expert at Quality Care and I have nothing to worry about! I also had to remind myself that I focus on quality care, because children deserve quality care and parents want quality care. Moreover, there are many definitions of what quality childcare is, however, the highest form of quality care is Accreditation. I want to inspire you to seek Accreditation. If you cannot afford it, I am sure that there are some agencies in your area that would love to help pay for your Accreditation. Quality Care is Hard work, however, when parents know that you provide quality care, they will choose you over other childcare programs. Furthermore…all the hard work of building a quality program is worth all the sweat and labor! I want to invite you to check out my post on Accreditation and subscribe to my e Course, 7-steps to Quality Care. 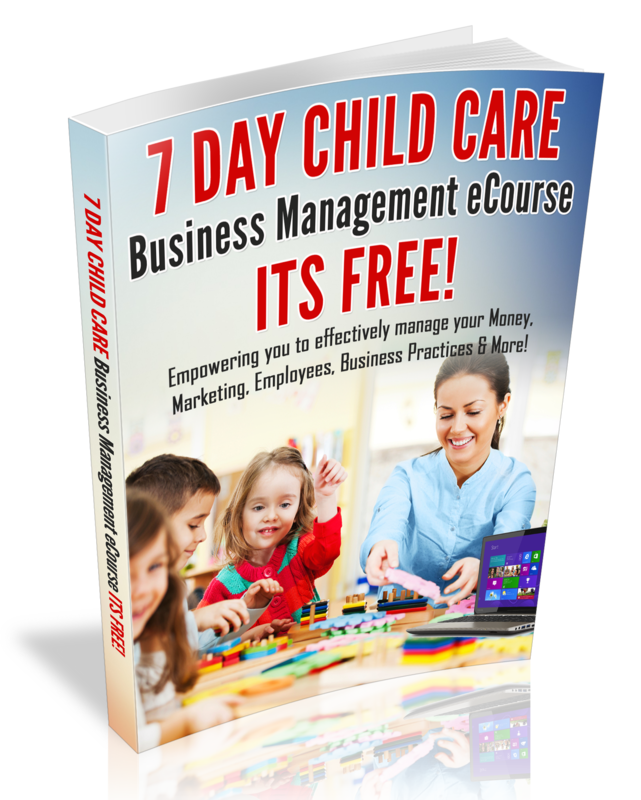 When I created the editorial theme for the childcare business owner blog, I created the theme with quality care in mind. A sure way to evaluate if you are providing quality practices or not is by evaluating your childcare program with a self-study. What is a Self Study? The time that it takes to complete a self-study is up to you and your staff (if you are a center.) My suggestion is that you take each area of the study, dedicate a set amount of time to focus on that particular area, make the necessary improvements and move on to another area of the self study. As you complete the self study, you may discover that you may already be implementing some of the Accreditation quality indicators and that is awesome. However, if you find that you are not, make the changes and keep moving forward. Each area that you tackle, celebrate!! This can be done with a pizza party for the kids; hang a banner that reads: “We have quality health & safety practices,etc.” To assure that you or your staff does not forget the quality practices, post reminders or issue weekly memos that cover the Accreditation quality practices. What if you cannot afford to Purchase your self study? As I was preparing for this blog post, I reviewed the fees to apply for NAFCC accreditation and it was quite expensive. Now I see why so, many providers are not accredited. I was one of the lucky ones, my home daycare accreditation was paid for with a grant back in 2002 and I had no idea that the cost of the self study was (for non-members only). I decided to do a little research for you and I found some agencies that provide financial assistance for providers that want to apply for accreditation for their childcare businesses. After an extensive Google search for one-hour, I discovered three states that provided financial assistance. I am quite sure that there are other agencies that provide financial assistance, however, I did not discover many of them online. According to NAEYC, there are many states that provide Accreditation facilitation financial assistance. Visit the NAEYC link below and watch the video for more details. If you do not see your state below, I do recommend that you contact your local, childcare association or United way to request financial assistance with your accreditation. My childcare business is in the state of Missouri and I must say that our state really supports home daycare and centers that seek to be accredited. In fact, we have our very own Accreditation agency (MO Accreditation of Program for children and youth). In summary, after going through three Accreditation in my home and center, I recommend accreditation to assure quality practices. If you desire to be accredited, get started on seeking out financial assistance for your accreditation. If you have the funds to buy your self study, go ahead and order your self-study as soon as possible. As you get started on your self-study, begin implementing the changes that are recommended in the self study, you will be so glad that you applied for accreditation! Need my help with Accreditation? Contact me today!